There are not many things in life that undoubtedly ensure an adrenaline rush, make certain your rest of the day/week will be happy, whilst taking your mind off the 'What am I doing with my life?' musings. - An episode of Game of Thrones that makes Daenerys's stress levels seem way more important than mine. A dragon with an arrow vs a 50-minute commute to work. You do the math. 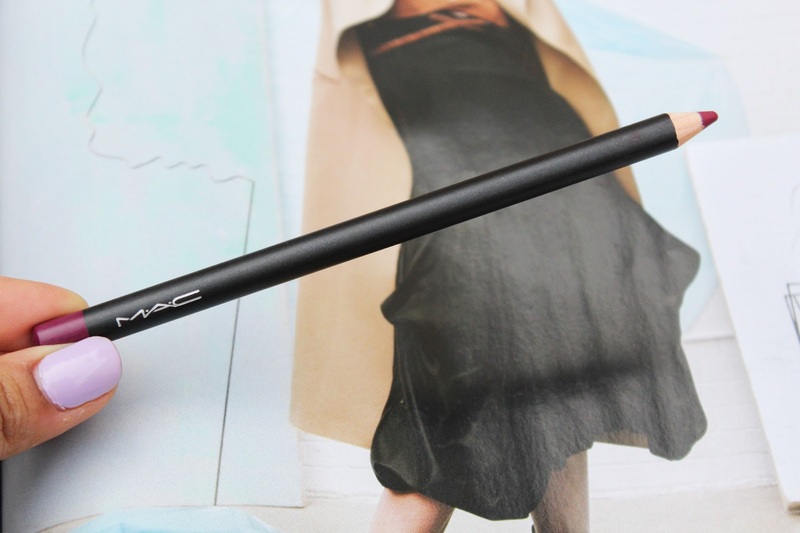 And of course, MAC Lipsticks. I am not quite sure how MAC has managed to squeeze itself into the variety of situations above but damn well it has. The other day after I purchased these, my other half witnessed me oddly carrying these around with me in the house for an entire day. I NEED them to be in close proximity and to be constantly reminded of the joy they bring. Surely I am not the only one right? Anyhoo, lets discuss these gems, shall we? 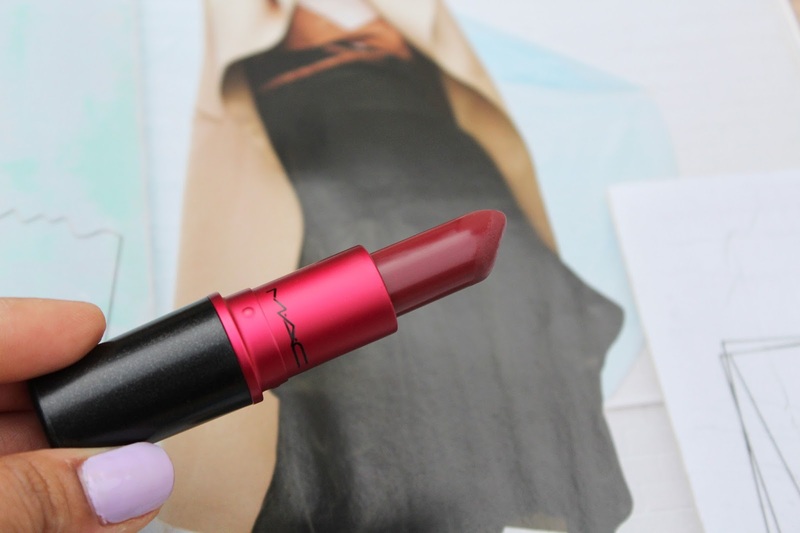 Viva Glam III. Believe it or not, this is my first time with a Viva Glam and it was love at first sight. I've eyed various of these for years but somehow gotten distracted by other shiny things in the store. This dark, foxy brown shade with a hint of sophisticated berry is the perfect dark lip for the demure amongst us. It is quite a Cindy Crawford, Rachel Green kinda 90's lip which is always on top of my list. It's feminine, easily compliments my olive skin tone but still adds some edge to the overall look. The finish is demi-matte, not drying at all and leaves a natural sheen on the lips that's somewhere between a satin and matte. Craving. I've seen my mum and sister use this in the past and have always quietly appreciated the shade. 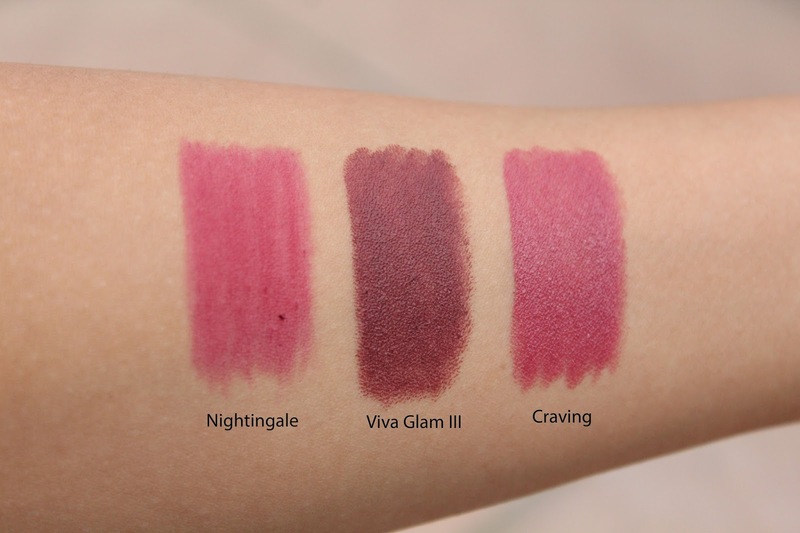 It's one of those lipsticks that will look different on every skin tone, depending on your lip colour. 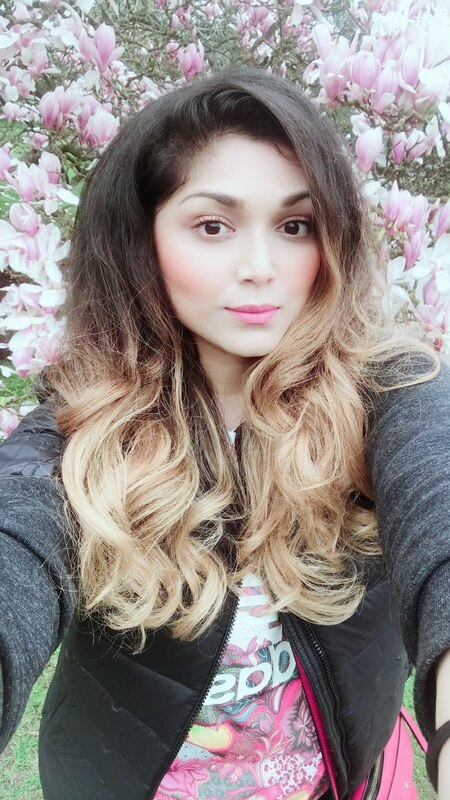 A cool toned pink, it leans towards the mauve, dusky rose side of the colour spectrum. The amplified finish only adds to its glory, giving lips an illusion of being well hydrated and naturally voluptuous. 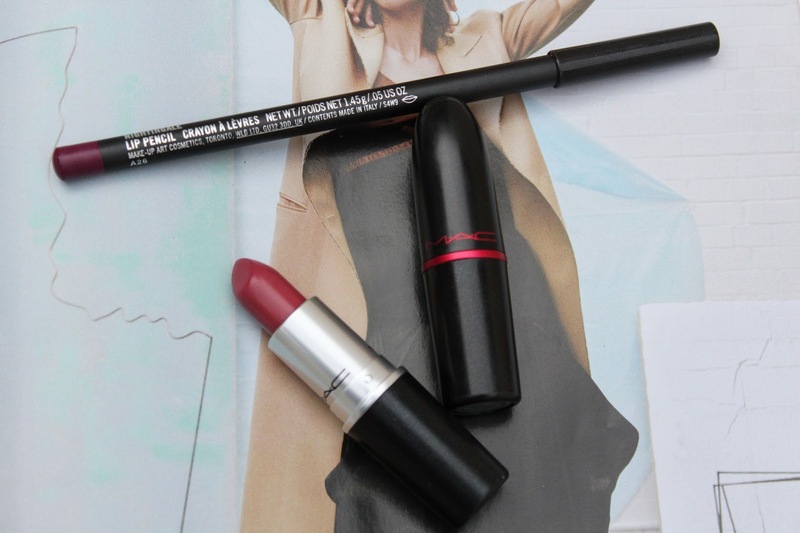 An easy everyday go-to colour that doesn't require a second thought. Also, I cannot ignore the fact that this is such a typical 'Indian wedding guest' colour. Me likey! Nightingale. 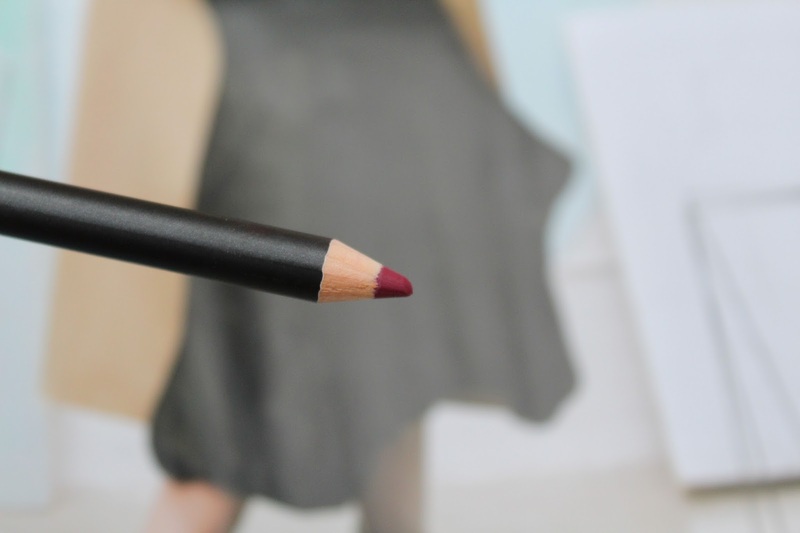 MAC describes this Lip Pencil as a 'mid tonal cream plum' and I don't think I can do a better job at describing it than that. 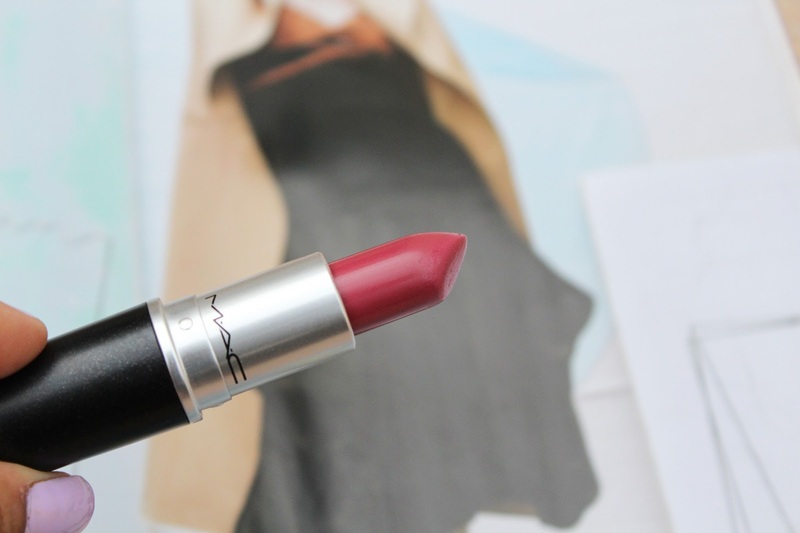 It's a bright, cool-toned plum with hints of red shot through it. It's for when you want to channel Rihanna but your workplace won't let you. It balances right on the edge between the desk and dance floor shades. I personally would throw it on when something like Urban Decay's Bittersweet is too bright for a particular occasion but you still want a similar effect. Hydrate the lips, throw on a neutral coloured chubby stick to create a base and line the entire mouth with this starting from the edges.